We know you loved the Captain America's suit from the Winter Soldier. That's why we created this unique piece in a different color combination. The body of the jacket is in Black and the wing detailing on the chest is in yellow. Both the front and back of the jacket have the wing detailing and it's beautifully aligned. The striking black and yellow combination makes it even attractive. And the black perforated panels over the body make way for better ventilation and ease. The shoulders, elbows, knees and back come with removable CE padding for better structure and fit. Overall, this jacket is an awesome pick for those who want a different look to the winter soldier jacket. 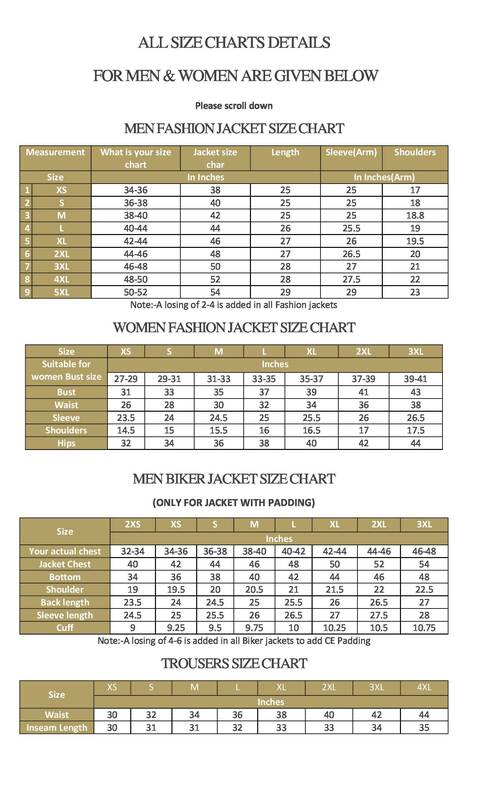 Check all the specifications below. Black perforated panels all over the jacket. A beautiful contrast of black and yellow color aligned in a beautiful way. 1. How to clean this product? As it is a leather product, do not wash it directly. Instead use a soft cloth to remove the dried crust of soil or food particles. Next, use another soft cloth damped in leather cleaner to remove the remaining stains. Now, leave the costume to dry naturally. 2.How to remove wrinkles from it? To remove the creases and wrinkles, you can place a flat heavy object like a pile of books over the crease for a few hours or overnight. 3. How to maintain these leather jacket/pants? Always use a good quality leather conditioner to maintain the new look of your apparel. It is recommended that you condition the costume every three to six months. Use a soft rag to apply the conditioner all over the jacket/pants. Do not use condiments such as olive oil, linseed oil, peanut butter, etc to condition your leather. It can deteriorate the quality of leather and leave oily spots on it. Also, avoid getting your jacket/pants wet as it can leave the leather brittle when it dries. 4. How fine & strong is the stitching? This product comes with a premium stitching which means it is not only durable & strong but is also fine. This fine stitching gives a neat & finished look. The seams are also tight and there would be threads hanging due to loose-stitching. 5. What is the return/exchange policy? This product qualifies for a return/exchange. Read our return & exchange here policy to know more about the terms & conditions related to return/exchange. 6. What is your policy for order cancellation? If you wish to cancel the order, you should do it within 3 days after you have placed the order to get full refund. If you cancel the order after 3 days of order placement, 30% of the order amount will be deducted from your refund. 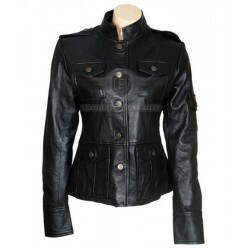 Anne Hatheaway Smart Black Leather JacketThis is Anne Hatheaway's smart leather jacket who is renown..